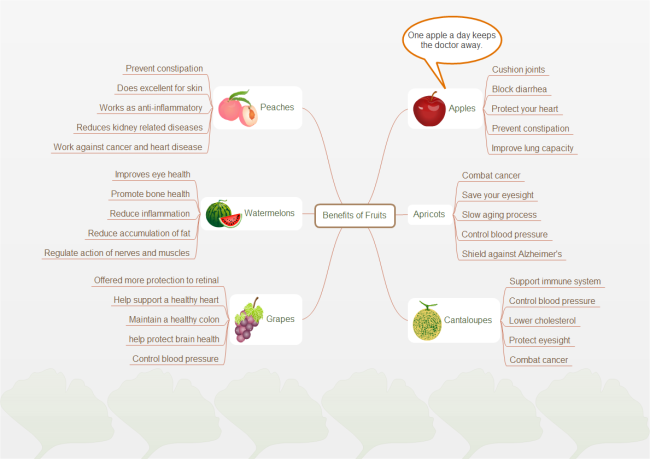 Description: This mind map shows the benefits of fruits clearly. It offers strong evidence of the health benefits of being a fruit lover. This mind map example is created by Edraw Mind Map, available in PDF and editable formats.